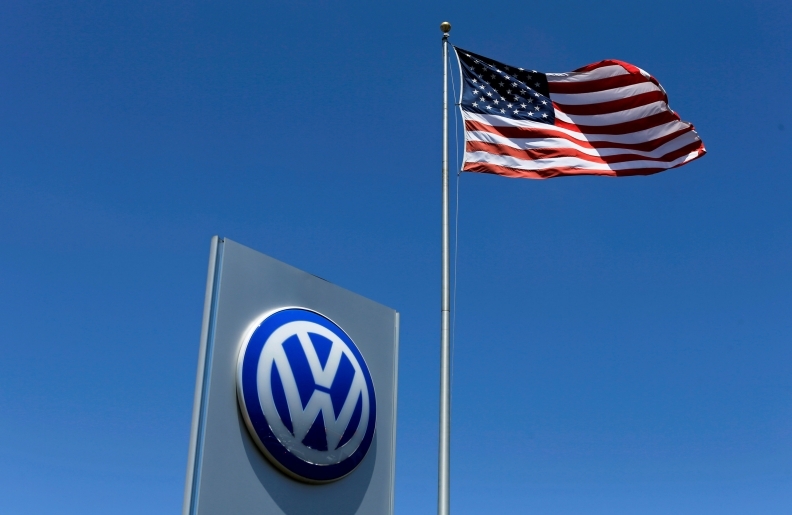 BERLIN -- The U.S. has issued international arrest warrants for five former Volkswagen managers accused of wrongdoing in connection with the carmaker's diesel emissions-cheating scandal, Sueddeutsche Zeitung reported on Thursday. The five ex-managers and developers, including two executives under former CEO Martin Winterkorn, were indicted by U.S. authorities for conspiracy to commit fraud and violation of U.S. environmental rules, Sueddeutsche Zeitung reported. A sixth person, former VW manager Oliver Schmidt, was arrested in February in Miami as he was about to fly to Germany. He is awaiting trial in a U.S. prison after being denied bail. German authorities were unlikely to extradite the five accused to the U.S., Sueddeutsche Zeitung reported. VW, the world's largest automaker by sales, admitted to U.S. regulators in September 2015 that it had cheated on emissions tests there using software installed in as many as 11 million diesel vehicles sold worldwide.